23 Bees Ceramic Hanging Planter is the perfect addition to your home or office. We believe in natural living with a modern flair. Through innovative design and process, we want to help you bring nature's beauty inside. Order now and experience your space transform with 23 Bees. 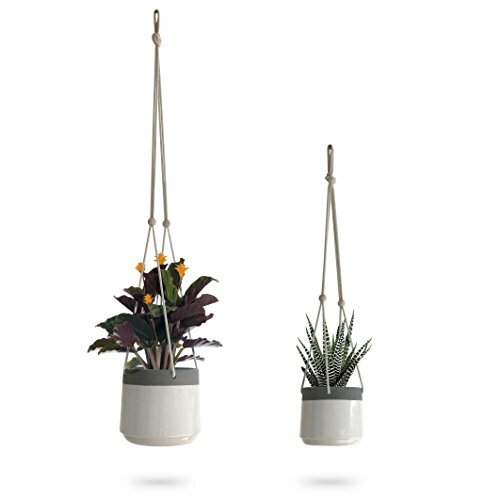 BRING NATURE'S BEAUTY INSIDE: Stay trendy with this ceramic hanging pot. Easily create stylish arrangements to display succulents, air plants, or small cactus. Plants are not included.